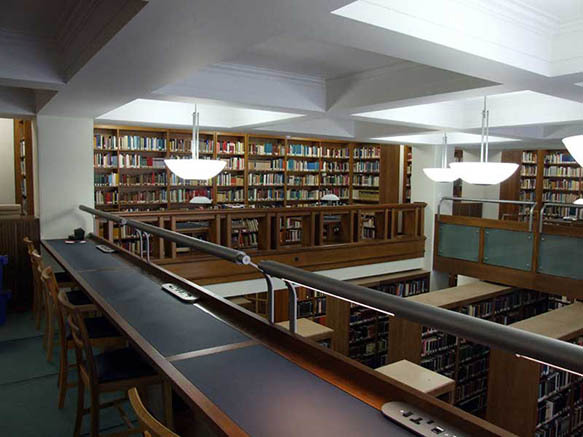 The reading room accommodating the English and German collections was comprehensively refurbished over summer 2010 thanks to generous funding from the Wolfson Foundation. 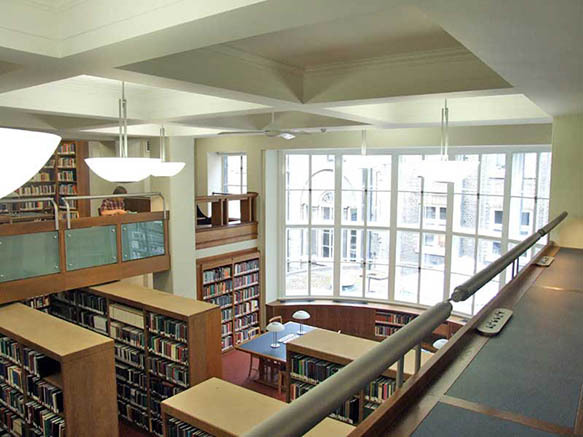 The original mezzanine was extended with new glass floored balconies, to provide an additional 12 reader spaces. 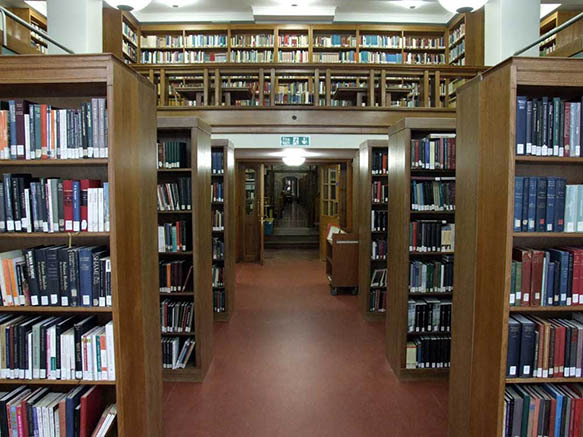 All original furniture, including original oak bookcases designed by Richardson, has been sympathetically restored. 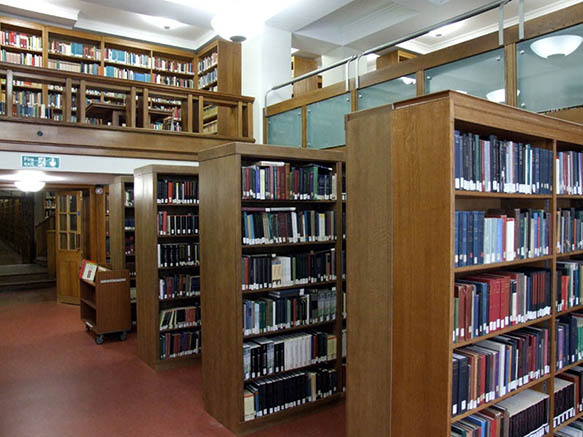 New furniture has been added to complement the fine space in the Grade 1-listed building. 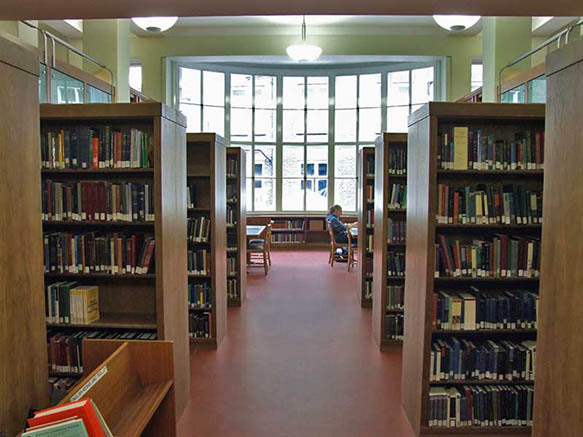 All reader places are now equipped with power and data connections. 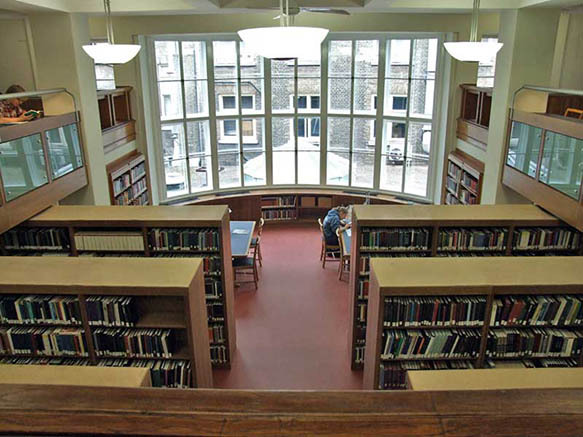 The large bay windows in the reading room were refurbished. 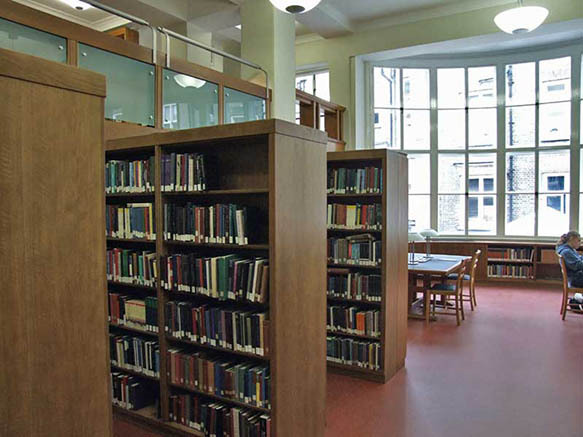 Bookcases which used to obscure the windows were removed, in order to make best use of natural light in the entire reading room. A LCD screen has been installed to display a slideshow of information for users.